The UK has an impressive range of laws and regulations to keep workers safe. This includes regulations regarding the use of personal protective equipment. According to the Health and Safety Executive, around 140 workers were killed at work in 2017 and 2018. Further, there were more 609,000 workplace injuries in 2016 and 2017. The Health and Safety Executive is the UK’s governing body charged with enforcing and advising on workplace safety. The costs of a workplace accident can be huge. Clearly, the injured worker and their family have the pain, suffering, and potential financial hardship to contend with. But the employer could pay a hefty price as well. These costs take the form of fines, compensation, loss of productivity, and damage to reputation. Employers have a legal and moral responsibility to protect their workers. This requires keeping up to date with the rules and regulations for their industry. The statistics clearly show that some industries are more hazardous than others. For example, workers in the agriculture, forestry, and fisheries sector are statistically more likely than workers in other sectors to suffer a workplace injury. How Do You Protect Employees’ Health and Safety? In order to identify the best control measures, you would need to apply a hierarchy of controls. The first option would be to remove the hazard altogether or to substitute it with a less dangerous one. If this is not possible, you should keep people away from the hazard. The last resort is to allow your workers to be exposed to the hazard. In this last instance, you must provide them with personal protective equipment to minimize the risks of injury. Take, for example, the dismantling a tree during tree surgery work. It is not possible to remove the hazard completely or substitute it with another. It is possible to keep most employees and members of the public away from the hazard. However, at least one worker needs to be in the vicinity as ground support and potential aerial rescue for the arborist carrying out the work in the tree. That employee needs to have PPE to protect them from falling branches or debris. That is likely to be a hard hat, eye protection, and high visibility clothing. Personal protective equipment (PPE) is any equipment that protects employees from a hazard to their health or safety. For example, forestry workers who work outdoors with heavy machinery would need to be provided with the appropriate PPE. This would include boots, gloves, helmet, ear and eye protection, and if necessary, high visibility clothing. Any PPE must be suitable for the purpose for which you are using it. Further, it must fit correctly and be properly maintained. And it must comply with certain manufacturing standards. Taking chainsaw work as an example, the appropriate PPE is likely to include chainsaw protective gloves. Furthermore, it would include chainsaw protective boots and trousers. Additionally, the worker would need a helmet with a face visor, as well as ear protection. The Personal Protective Equipment Regulations 2002 require all PPE to have a “CE” mark. This shows that it conforms with EU standards. 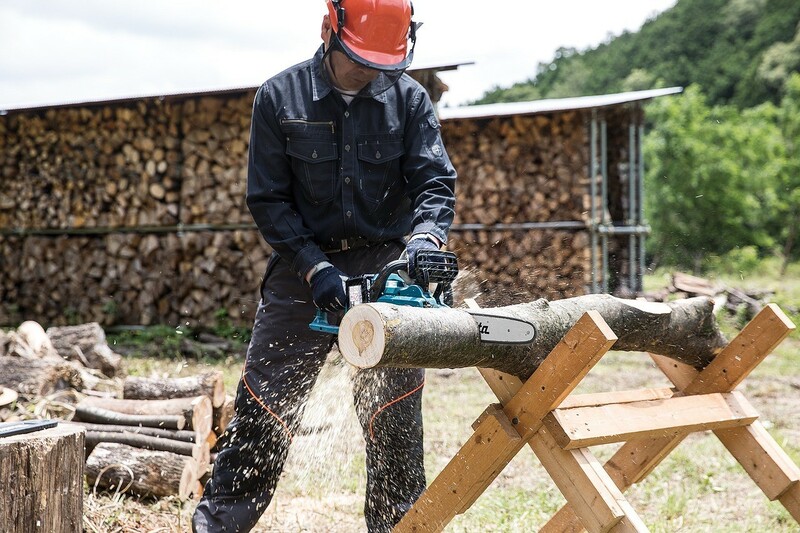 The PPE required for all chainsaw workers needs to have complied with the appropriate European Standard, indicated by an EN number. Remember that no PPE can remove the risk of injury. What’s more, there is no substitute for training and experience. Additionally, always give your workers sufficient time to properly plan a job and to execute it safely. Paul George is the managing director of Landmark Trading Ltd. The company is the UK’s leading supplier of arborist equipment, tree surgery, and tree climbing equipment. You can connect with Paul on Twitter on @LandmarkTrading or check out their Facebook page.